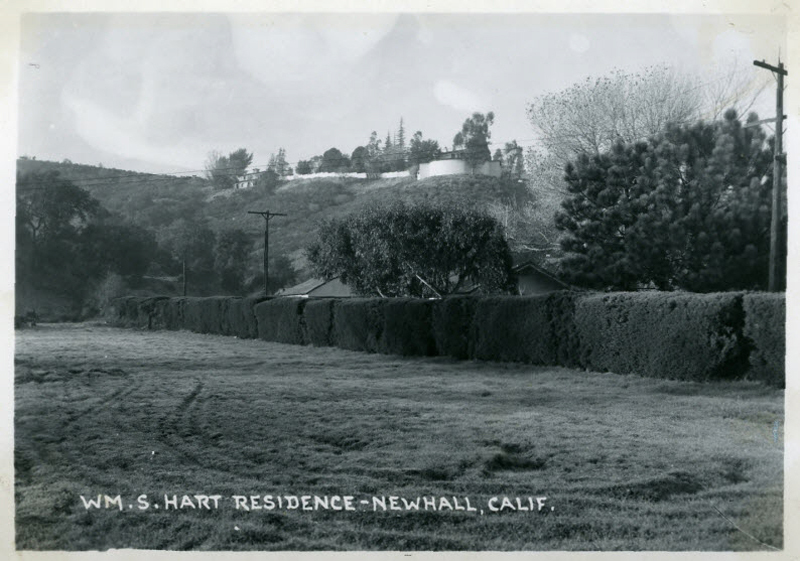 William S. Hart Residence, Newhall, Calif. Real photo postcard, circa 1950s. Judging from other prints of the same RPPC, the apparent smudging at top is on the original print or negative. AL1950: 9600 dpi jpeg from 300 dpi jpg of original postcard.